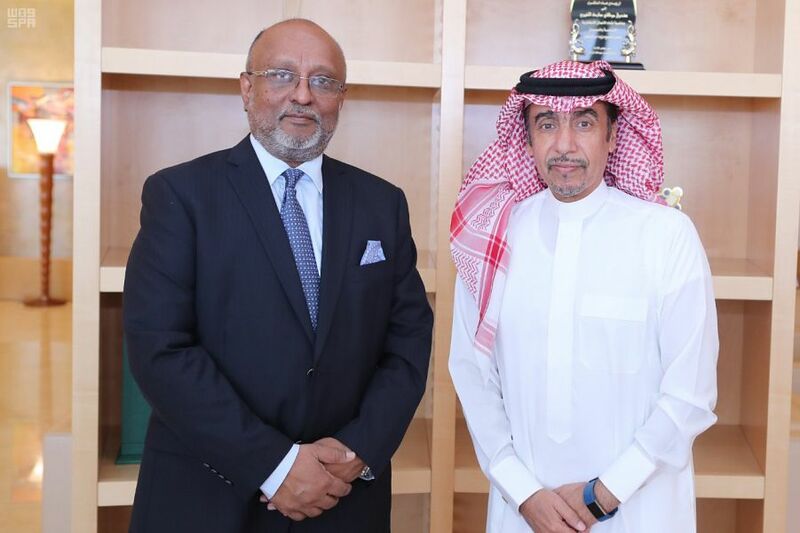 Chairman of the Royal Commission for Jubail and Yanbu Engineer Abdullah bin Ibrahim Al-Saadan received here today Bangladeshi Ambassador to the Kingdom of Saudi Arabia Golam Moshi. During meeting, the Chairman briefed the Ambassador on tasks and achievements of the Commission since its foundation. The Chairman said that the Royal Commission is moving forward with its contributions to enhance the national economy through a number of initiatives within the framework of the Kingdom's Vision 2030, pointing to the Commission's welcoming of foreign and local investments.